Please note: Teresa does not do replicas or copy the work of other artists. No exceptions. 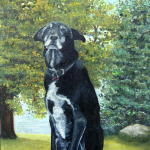 Portraits of loved ones and pets. Places you’ve visited or would like to visit some day. Perhaps you’d like a painting done of your home or family homestead; the house, town, or place where you grew up. Favorite photographs you love and would like a painting done of. 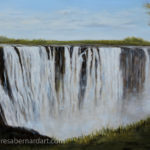 Repeat paintings — If you see a painting on this website that you love, but it has already sold or you need it in a different size, Teresa will do repeat paintings of her own work. Whatever your heart’s desire Teresa can turn it into a painting just for you. See the instructions below on what she will need from you to get your special painting started. If you have a special painting in mind contact us! 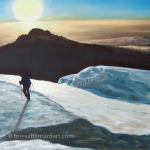 Teresa will be happy to do a commission oil painting just for you. 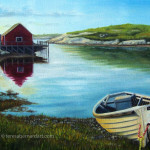 All she needs to get started is a good photograph of what you want a painting of and a small non-refundable deposit which is applied toward the total purchase price of your painting. You’ll find her easy to work with and willing to please. Teresa will work hard to give you a painting you’ll love and be proud of. 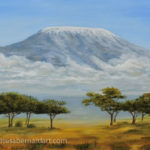 If you see a painting in Teresa’s gallery that you love, but it has already sold or you would like it in a different size, she will be happy to do a reproduction painting or a similar one of it for you as a commissioned oil painting. 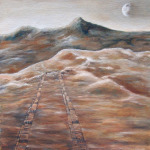 Please note, Teresa will only do a reproduction or similar paintings of her own work. She will not copy the work of another artists. When you are ready to commission Teresa to paint a custom painting just for you, contact us and be sure to include the following information. What is the approximate size of the painting you have in mind? What is the subject matter? 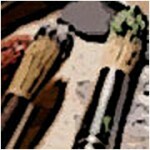 Be descriptive, or better yet, email a digital photo of what you want a painting of. If a portrait, how many people/pets in a single painting? Be sure to include anything else you feel she might need to know. 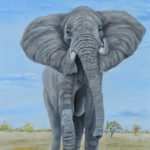 A good clear photo of the subject matter as you want it to appear in your painting. This photo should be one you are completely happy with. If not provide another one you are happy with or be very specific regarding what changes you want made to the subject matter contained within the photo. 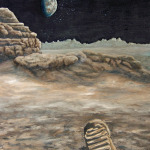 Please keep in mind Teresa is a realist artist and will create your painting as close to the photo as possible. In other words, she paints what she sees. Your deposit. This small non-refundable deposit will be applied toward the total purchase price of your painting. Except for portraits of loved ones, you are not obligated to purchase the painting if you are not happy with it, however the deposit is non-refundable. The deposit covers the cost of materials used to begin your painting. You want Teresa to do a good job for you. Although she will work as quickly as possible, please keep in mind your painting won’t happen over night. She will send you updates at various stages of the work to keep you posted on how your painting is coming along. Please remember Teresa works with oil paints and drying time varies with each painting. 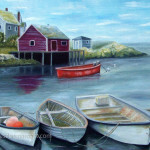 Once your painting is completed, she will need to wait until it is dry enough to safely package before shipping. You can expect it take a minimum of 6 months (even longer for people portraits) from the time Teresa starts your painting until it is ready for shipping. Your patience will ensure she creates a painting you will be happy with and bring you years of enjoyment. Don’t take offense is Teresa should turn down your commission. It doesn’t happen very often, but when it does it’s usually because the photo is not suited to making a great painting or she is simply too busy to take on another commission at the moment. Which ever the case, we will let you know. At that time you can try a different photo or wait until Teresa has finished her other commissions and has more time to devote to your painting. Thank you for considering Teresa as your commission artist.